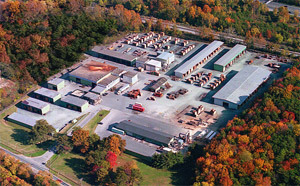 J. Gibson McIlvain is dedicated to listening to our customers, expanding our inventory base, and continually updating our air and kiln drying methods as well as our equipment. 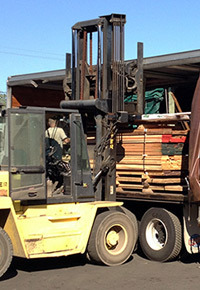 With over 200 years of experience in the lumber industry, we have watched as new advances in methods, equipment, and even computer tracking systems have greatly enhanced not only our products, but also our customer service. While we take great pride in staying current and modern, we also recognize that quality is one area that cannot be neglected. Our tested quality inspection system has earned the J. Gibson McIlvain Company recognition as an industry leader. 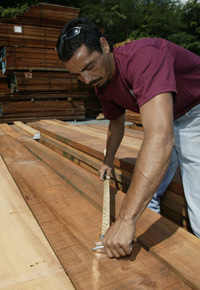 Our mission is to provide only the finest options of domestic and exotic softwoods and hardwoods to our customers. In order to do this, we first send our representatives to the source of the lumber. Traveling to forests and sawmills all over the world, our representatives take great care in only importing lumber that passes their critical inspection. Once the lumber arrives at our Baltimore, Maryland facility, it will again undergo an in-depth inspection by members of our staff. However, our inspection system doesn’t stop there. After the drying process at our facility, our employees are careful to spot any defects created by kiln drying. If such defects exist, the wood is not used for our customer’s orders. Before we prepare your order for shipment, it is again inspected. As each piece of lumber passes through the facility, it will undergo numerous inspections by several experienced members of our staff. Years of experience in the lumber industry combined with a dedication to satisfied customers motivates our employees to take care with each and every order they work on. If you are placing a millwork order, you can expect the same careful attention. J. Gibson McIlvain Company has a large selection of moulding patterns available to our customers. Or, if preferred, a customer can draw up their own blueprint or provide us with a sample. We will then custom create your millwork order. Once again, during each stage of design, our employees will work hard to ensure quality craftsmanship. Each moulding must pass the same rigorous inspections. 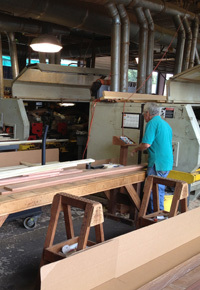 Our facility maintains cutting edge equipment and capabilities for your next millwork order. If needed, we can also provide oil or water based finishes for your moulding order. 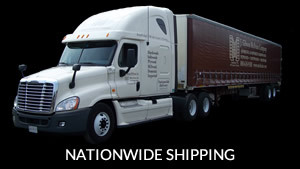 If inventory control is important in your line of work, take advantage of our storage facilities. J. Gibson McIlvain Company is dedicated to providing our customers with an expansive selection of only the highest quality domestic hardwoods, exotic lumber, and custom moulding orders. A dedication to not only quality, but customer service has been passed down several generations to make us one of the oldest, trusted names in the lumber industry.